A simple racquet game turns into a high-intensity workout. 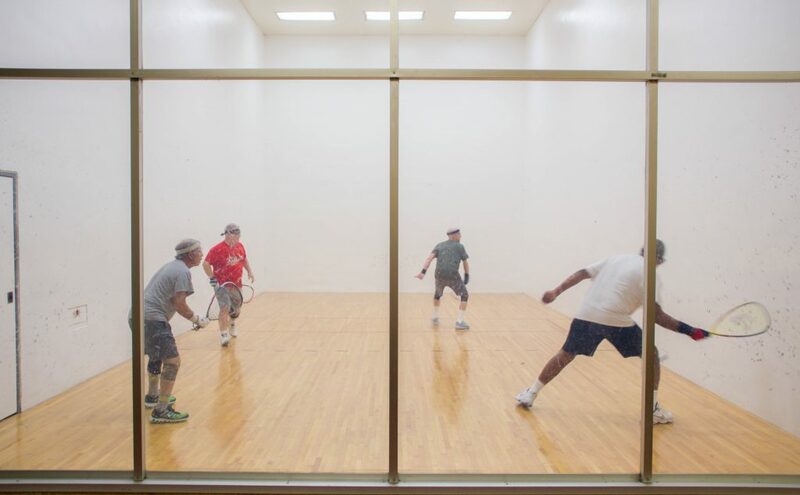 Did you know racquetball allows you to burn calories and improve muscle and bone strength, all while being a fun, enjoyable, and social activity? Become a member to start experiencing the multiple benefits. 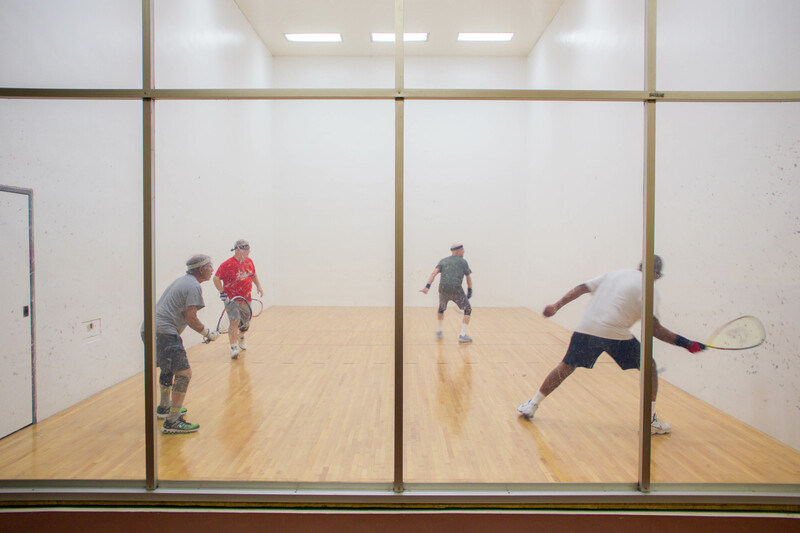 Book open time on one of our five regulation courts, stop by for our Saturday morning Challenge Court, take a lesson, or sign up for one of our numerous tournaments. Either way, we have a variety of players to fit your skill level, and a fun time is guaranteed for all. Don’t forget your eye guard!